Last week, I unveiled House Democrats’ new Make It In America plan for jobs and opportunity. It’s a set of proposals different from what has been proposed in the past because it doesn’t come from Washington. Instead, it is the result of a months-long listening tour across America’s heartland that I undertook with my fellow House Democrats over the past few months. In places like Peoria, Indianapolis, Pittsburgh, Kansas City, Toledo and others, we wanted to hear about what Congress should be doing to help Americans get ahead instead of just getting by. 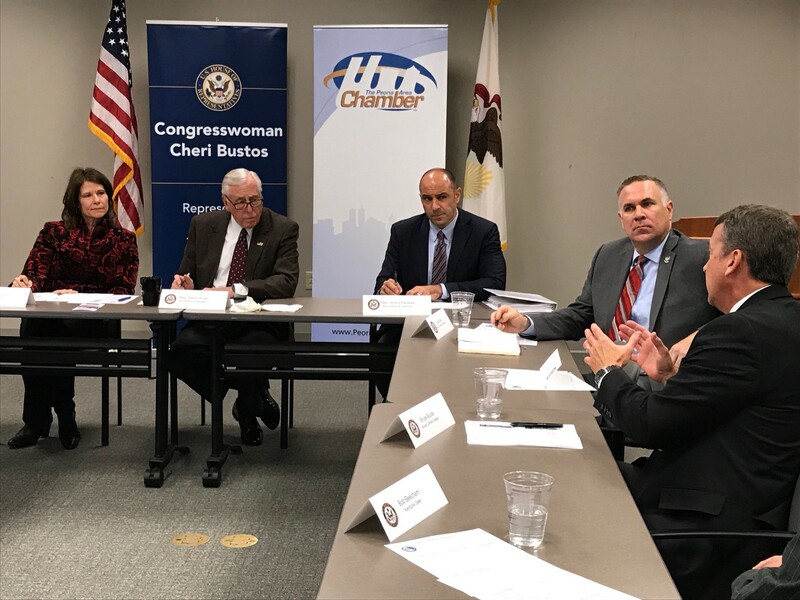 Whip Hoyer, Rep. Cheri Bustos (IL-17), and Rep. Jimmy Panetta (CA-20) hold a discussion with the Peoria Chamber of Commerce, small business owners, and educators in Peoria, Illinois. What we heard was clear: Americans want Congress to get off the sidelines and enact policies that help them make it in America. They want Congress to ensure that everybody who works hard in our economy can get ahead. When I unveiled the new Make It In America plan, I spoke about the people I heard from on our listening tour. I told of the workers I met who find things like homeownership, child care, college tuition, and retirement savings out of reach. I spoke about the innovators who are trying hard to turn their new discoveries into viable small businesses. I shared the stories of local leaders who are struggling to afford much-needed investments in infrastructure to help their cities and their economies grow. In all the places we visited, we heard about the challenges of our changing economy, and everyone we met helped shape House Democrats’ plan to answer those challenges. In three critical areas our “Make It In America” plan seeks to move our country forward. They are: education, entrepreneurship, and infrastructure. Whip Hoyer and Rep. Ron Kind (WI-03) hold a roundtable focused on education with students at University of Wisconsin, Eau Claire. 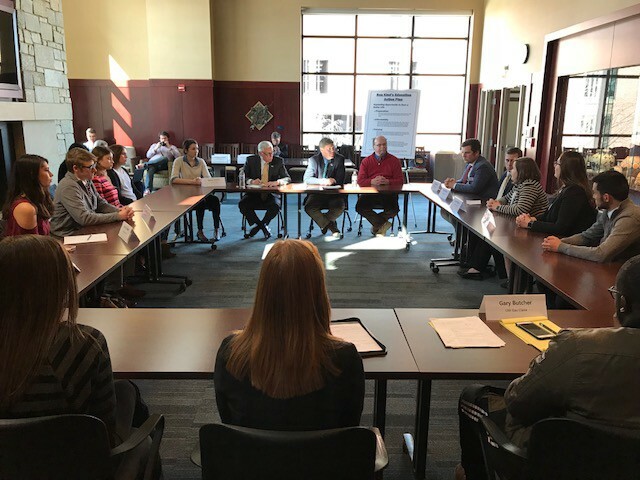 In Eau Claire, Wisconsin, I joined Rep. Ron Kind to hear directly from college students preparing to join our workforce. They spoke candidly about how worried they are about being able to adapt as our economy changes. They were also anxious about having to enter the job market already burdened by heavy student-loan debt. Not far away in Peoria, I sat down with Rep. Cheri Bustos to hear from workers and small business owners about the challenges of ensuring that we have a workforce prepared to fill the high-skill jobs our entrepreneurs create. They also spoke of the difficulties many mid- and late-career workers have had in acquiring the additional skills needed to secure the new jobs that were created after traditional industries moved overseas. When it comes to education and skills training, we need to ensure that all workers, whether preparing to start their careers or far into them, have the ability to obtain the skills they need for in-demand jobs. “Make It In America” calls for innovative changes to the way we teach and train, including promoting the use of “stackable credentials” accumulated over a lifetime of learning and experience. For students, this means identifying pathways to careers from an earlier age. For mid- and late-career workers, it means expanding training programs that put workers on new pathways to better jobs, and it means strengthening organized labor instead of weakening it. It also focuses on making training and education more accessible and affordable for students preparing for the workforce — as well as helping those already in the workforce take on new career challenges by, among other policies, allowing Pell Grants to cover the cost of training programs. 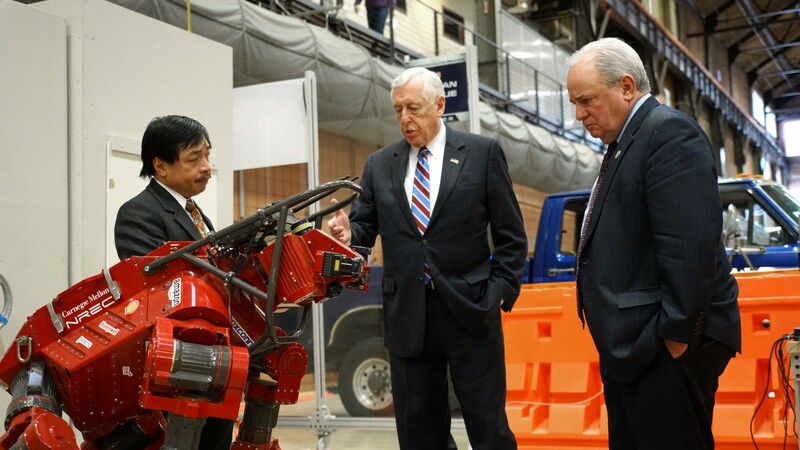 Whip Hoyer and Rep. Mike Doyle (PA-14) tour the National Robotics Engineering Center at Carnegie Mellon University ‏in Pittsburgh, Pennsylvania. In February, I traveled to Pittsburgh, where Rep. Mike Doyle took me to the city’s new Energy Innovation Center. There, community and corporate leaders have partnered with regional colleges and universities to help students and researchers incubate new businesses. The people I met there are all eager to turn their ideas into start-ups. In the realm of entrepreneurship, the “Make It In America” plan aims to make it easier to take the risk of launching a new start-up business by ensuring access to portable workplace benefits like health insurance and retirement security. Congress also must provide more and better tools to grow ideas into successful businesses, like encouraging regional industry clusters that leverage local expertise to help innovators turn ideas into local engines of growth — just like Pittsburgh has been transformed into a robotics hub. 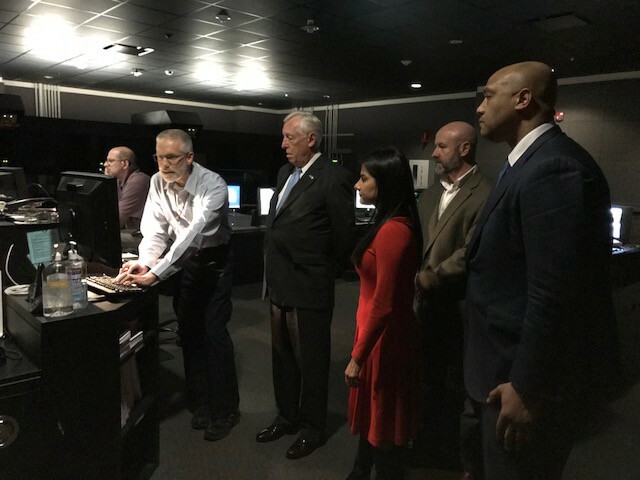 Whip Hoyer, Rep. Andre Carson (IN-07), and Rep. Nanette Barragan (CA-44) watch a demonstration at the Indianapolis International Airport. When I visited Indianapolis with Rep. Andre Carson on our listening tour, we met with city leaders and heard about the challenges of meeting the region’s infrastructure needs. Even by stretching budgets and prioritizing investment, many cities and states simply can’t keep up with much-needed repairs, let alone making the kind of major expansions required to unleash our economy. Congress needs to partner with regions, states, and municipalities to address America’s infrastructure needs. Not only must we repair and rebuild aging infrastructure that holds local economies back, we need to build the innovative infrastructure of the future. This includes finally dealing with backlogged transportation and water projects, investing in a modern electrical grid, and increasing access to high-speed internet service networks like 5G in rural and underserved urban areas. In these three areas — education and skills training, entrepreneurship, and infrastructure — “Make It In America” can help people get ahead. It complements Democrats’ “For the People” platform, which calls for raising wages, making health care and prescription drugs more affordable, and ending corruption in Washington that worsens inequality. Most of all, the ideas in “Make It In America” come straight from the American people. Americans want Congress to be a partner again, to take actions that support a strong economy now and for generations to come. For the people, for our future, 2018 is the moment for us to Make It In America.